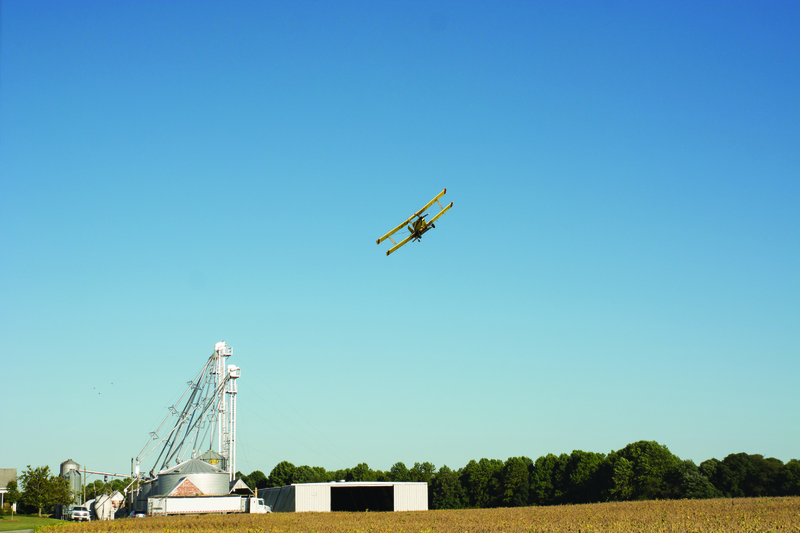 (ANNAPOLIS, MARYLAND) – A small airplane swoops low over a field of golden soybeans, and then zooms back up into the air before making another round at Schmidt Farms, located on the Eastern Shore of Maryland. 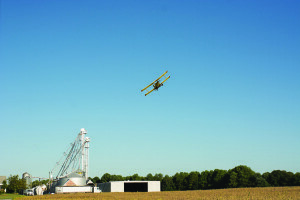 Schmidt Farms is one of many Maryland farms which together seeded a record 492,244 acres of cover crops last fall, the Maryland Department of Agriculture has announced. Maryland farmers have exceeded the Watershed Implementation Plan milestone goals in 2011, 2013 and 2015 for cover crops and are on track to exceed the next two year milestone in 2017 with this new record enrollment acreage. Cover crops are widely recognized as one of the most cost-effective and environmentally sustainable ways for farmers to meet nutrient and sediment reduction targets outlined in Maryland’s Watershed Implementation Plan to protect and restore the Chesapeake Bay by 2025. Schmidt Farms is a third generation family farm, operated by Hans and his wife, Jennie, and Hans’ brother, Alan and his wife Brenda. The farm cultivates about 2,000 acres of food and feed – high oleic soybeans used to create soybean oil, soybeans used in tofu and soy milk, green beans, tomatoes and wine grapes. In addition, they grow soy, corn and barley for animal feed. Using a cover crop application program allows the farm to feed nutrients into the top soil, and at the same time improve the fields’ soil tilth. The cover crop program is not a new idea on the farm. In fact, Walter Schmidt was one of the first farmers in the country to implement cover crops, way back in the late 1960s. The Schmidt family goes out of its way to promote environmental stewardship and leadership for agriculture in Maryland. The farm has earned a designation of Certified Agricultural Conservation Steward under the Farm Stewardship Certification and Assessment Program (FSCAP), and Hans, who recently “retired” as volunteer chairman of the Maryland Soybean Board and from the Maryland Association of Soil Conservation Districts, has been appointed Assistant Secretary of Resource Conservation at the Maryland Department of Agriculture. Jennie is now president of the Maryland Grain Producers Utilization Board. The Maryland Soybean Board and United Soybean Board are funded by the national soybean checkoff. Through the checkoff program, farmers contribute one-half of one percent of the net market value of soybeans at the first point of sale. These funds are used for research, marketing and education projects. To learn more, visit www.www.mdsoy.com.